Oh how I love summer! Now I have the perfect excuse to create a ton of plant based Icecream recipes. Today I had plans to make a cheese cake, but realized I didn’t have all the necessary ingredients. 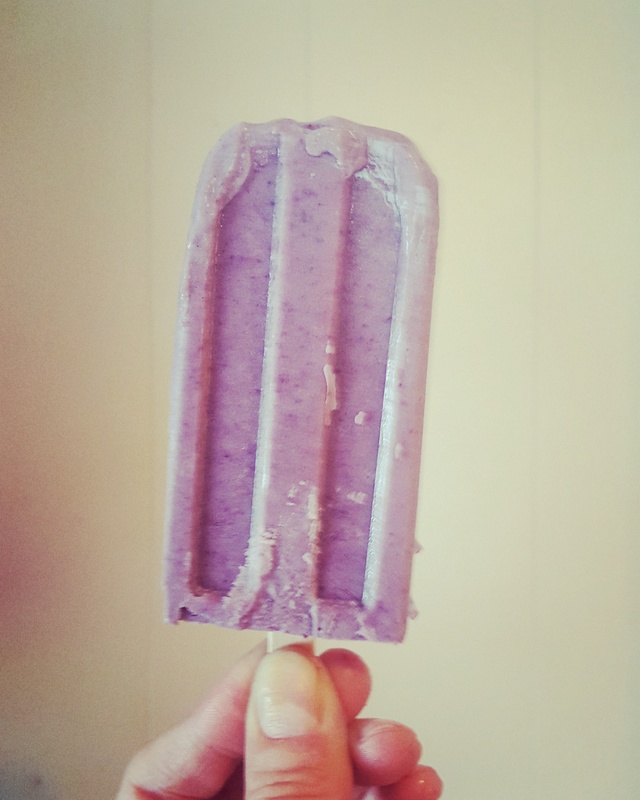 So I had a big bowl of cashews soaking and I got creative and voila healthy vegan Icecream Pops. This is super easy to make and you can indulge whenever, because of all the healthy ingredients. In a high speed blender and cashews and dates and blend with enough almond milk to blend to a cream. Not to thick but not watery. Once combined add in bananas and blueberries and blend well. Once fully combined pour into popsicle stick molds. Put in the freezer until fully frozen.